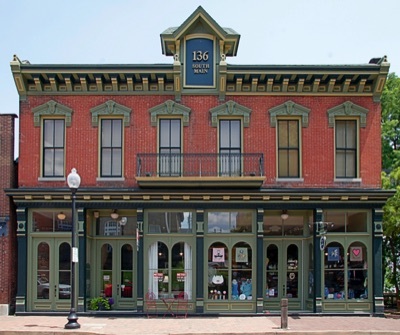 These Historic Properties have been restored and rehabbed to keep their historic charm and archtectural integrity while providing modern amenities in the St. Charles Main Street Historic District. The District is and are where you can walk to numerous amenities including restaurants, coffee, gym, parks, Katy Trail, government centers for City & County. More than 16,000 people work within a one-mile radius of this area. The buildings provide a mix or retail, office and residential spaces. We currently have office spaces available. If you are looking for space in the future, please contact us and we will contact you if suitable space becomes available. The space is about 2300sf with a large deck over looking Frontier Park and the river with a great view.